We all enjoy a laugh as much as the next guy but here at Find Me A Gift, we believe that gift giving is 100% serious business. We are here to ensure that your every need is catered for - no matter what the occasion! 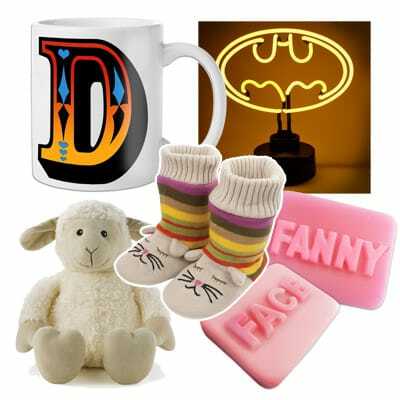 We have literally got thousands of fun, novel, sweet, cute and jaw droppingly cool gift ideas ready and waiting for you to browse through. What's more, our Award Winning Customer Service team are on hand every step of the way to make sure your visit is as stress free as possible - just give them a shout. We don't bite, so come on in and see how we can help you. We may be a little bit bonkers but we wouldn't have it any other way. We've come a long way and we are all incredibly proud of our little corner of Warwickshire. …and it's all because of you! Got a burning question? Keen to get some more info? Love our website and just need to tell someone? Then we'd love to hear from you! Why not email us at customerservice@findmeagift.com and our friendly customer service team will either answer your query or pass it on to the right person. FMAG was founded by 3 friends in a bedroom way back when at the start of the Millennium. The early years were a struggle and after some risk taking gone wrong, two of the founding Directors wanted out. Keen to continue, our current Managing Director Adam took on 100% ownership of the business…debts and all! Juggling working full time and running the ever growing business got too much in 2003 and Adam took the leap into running the business full time, renting a small office and some storage racking to get by. It paid off. "I wanted somewhere people can come to and find perfect gift ideas for all occasions." By Oct 2004, FMAG was a small team of staff and after a successful Christmas period, we were ready to find a bigger home. By 2008, we were operating three shifts around the clock to get orders out over the busy Christmas period. Exciting times for an ever expanding business! Over ten years, three moves, thousands of products and a lot of happy customers later and we are the company you know and love today. We're a pretty well-oiled machine these days and with products being added to our site every week, we truly believe we have something for everyone.